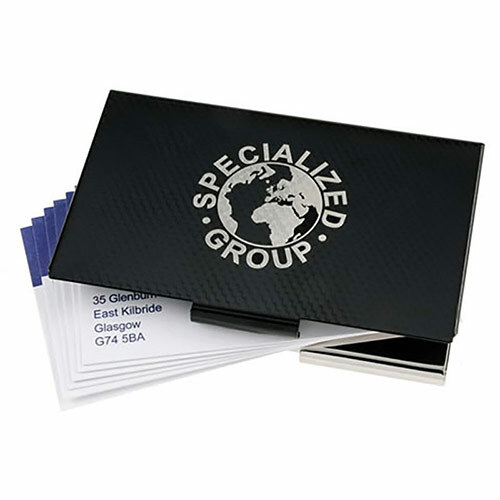 These stylish pocket business card cases have a black lid with a carbon fibre-like textured pattern. These lids can be laser engraved through the black textured finish into the silver coloured base metal below, providing a strong contrast for your branding or inscription. These sturdy metal card cases can hold 10-12 standard business cards, keeping them crisp and pristine ready for you to present to customers, suppliers or contacts. 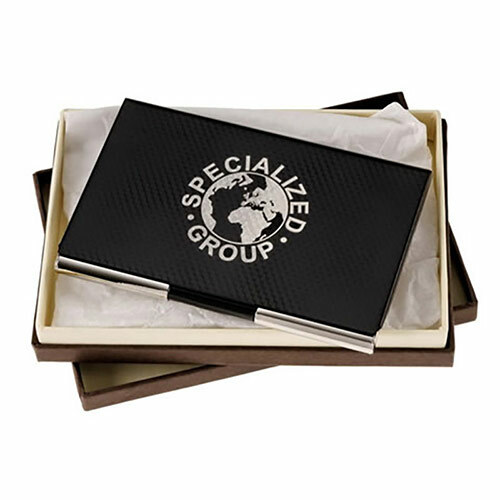 They are supplied tissue-wrapped in an attractive chocolate coloured presentation box.